Time-sharing (a/k/a Custody) issues are among the most difficult issues to litigate in Florida family law cases. In most cases, for obvious reasons, Florida Courts disfavor children testifying in Court. Facts and testimony about the best interests of children can come from a variety of sources, i.e. parents, teachers, friends of family. But how do you directly communicate the wishes of children, or provide an objective recommendation about what is in the best interests of children in a time-sharing dispute? In some cases, appointment of a social investigator can be the answer. What is a Social Investigator? 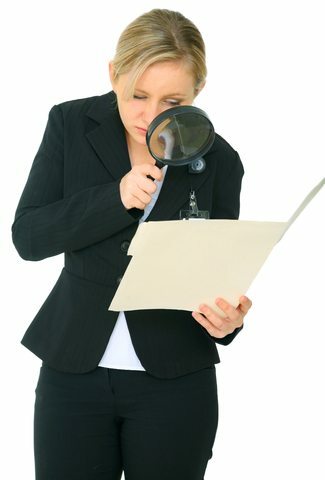 The definition of who can perform a social investigation in Florida is quite broad. Florida Statute Section 61.20 defines a social investigator as “….qualified staff of the court; a child-placing agency licensed pursuant to s. 409.175; a psychologist licensed pursuant to chapter 490; or a clinical social worker, marriage and family therapist, or mental health counselor licensed pursuant to chapter 491.” The Courts in the Fourth Judicial Circuit in Jacksonville, Florida have interpreted “qualified staff of the court” to also include experienced family law attorneys. The type of social investigator the court appoints, or that a party asks the court to appoint, depends on the facts of the particular case. If, for example, there are allegations of mental health or substance abuse issues in the case, a psychologist or licensed mental health counselor will be the best choice to make recommendations about a parenting plan that is in the children’s best interest. If there is no substance abuse or mental health issues, then an attorney social investigator can be utilized to make recommendations to the court. What type of Social Investigator Should the Court Appoint? If there is substance abuse, child welfare or mental health issues, then, in my opinion, a psychologist or licensed mental health counselor, should be appointed. If there are no serious issues in the case, other than disagreements about the structure of a parenting plan, then an attorney social investigator may be more appropriate. In Jacksonville, Florida the price range for a psychologist or licensed mental health counselor to act as a social investigator starts at $2500.00 and ranges up to $8,000. For all but a few people, that is a significant amount of money and may be out of the reach for some families going through child time-sharing disputes. An attorney social investigator in the Jacksonville, Florida area costs significantly less than a psychologist or licensed mental health counselor with price ranges to act as a social investigator averaging between $1000 to $2500. If you are gathering facts, or trying to present evidence that may be difficult to admit in a case, an attorney social investigator can be the best option. Attorneys are trained to gather, organize, and present facts and information in a clear and concise manner. Attorneys are also accustomed to working with deadlines. Attorney social investigators typically produce custody evaluation reports quicker than non-lawyer social investigators. Should I Ask for a Social Investigator? There are many cases where it may be unwise to seek to appoint a social investigator. If a party is able to clearly and credibly communicate his or her position on parental responsibility issues, though the use of direct testimony, and third party witness, and there are no serious mental health or child welfare issues, a social investigator may not be appropriate. Why? When a social investigator is appointed, the parties lose a large part of the control of the message being presented to the court. A social investigator is a third party neutral, who will in many cases, make recommendations that are contrary to a party’s desired outcome. If you have a strong case to begin with, then it is unwise to introduce an unpredictable element into the case or lose control of your message. If you have questions about social investigators in the Jacksonville, Florida area, please contact us at 904-339-5298 or through this website. Your first consultation is free.